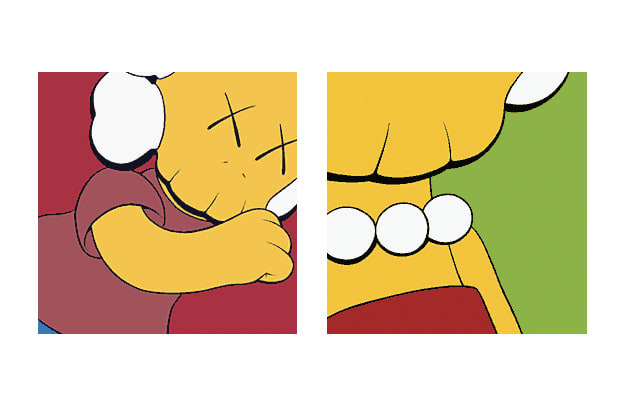 KAWS has held gallery exhibitions for nearly two decades. Most recently, KAWS collaborated with friend and fellow artist, Erik Parker, for Pretty on the Inside at NYC's Paul Kasmin gallery. Erik Parker: "Our collaboration at Kasmin evolved from our conversations about artwork, and the things that we both like. We were able to create a show that wasn't about ourselves, but about the things and the people we like. We had a good time doing it as well."